What is your Company? How did you come up with the idea? I'm in e-commerce, I build brands for big and small influencers, depending on their market. I help build the brand, the e-com platform, marketing, and product development. We work closely together with the influencer but still take most of the work out of hand. What is your backstory? Can you tell us a story about what brought you to this specific career path? I used to have large fashion Instagram pages, with 500K+ targeted followers. This was back in 2015. Brands started contacting me to promote them, after doing this for a year I figured out it would be better to start my own brand. Promoting hundreds of different brands will decrease your engagement on Instagram, because followers generally don't like seeing ads every day, sticking with one brand eliminates this problem and also gave me bigger margins and thus more profits. What gave you that Entrepreneurship spark and drive when you started? Tell me about the day you decided to take this on as a full time venture. I value freedom the most in life, since a very young age. I did not want to work for a boss, or be limited by a 9 to 5 job. I always knew that I wanted to be able to work from wherever, and whenever. That's exactly what I'm doing now. I travel the world to do meetings and basically all I need is my laptop. Where do you see your company 5yrs from now? I would like to start investing more in tech-companies and e-com platforms. Do you have a mentor? I don't have a mentor. I get inspiration from success stories I hear. Sometimes I think it would be good to have a mentor, just so someone can give their perspective on certain situations. I'm good at making decisions but there are situations where you wish you had someone to run it by. What's the most valuable advice you've received that contributed to your personal or professional success? Being grateful, and never stop being amazed. It sounds very cheesy but it makes you value everything much more. It will motivate you, as you'll know what you're working for, besides that it will also get you in a good mood throughout the day. What is your Daily Routine? I wake up at around 5am-10am depending on until how late I worked the night before. I try to do all my emails and tedious tasks as soon as I wake up, to get it out of the way. I design in the mornings, because I feel more creative — and I code at nights, because I'm more focused. Which person or company do you most admire and why? I admire vlogger Jon Olsson, the way he builds and markets companies is very inspiring to me. He really goes all in and leverages social media to market his brands. Here's what you need to know about one of Marvel's newest superheroes. The comic book industry has been dominated by Filipino writers and artists for many years, but there has been little mainstream representation of Filipino comic book characters. Marvel has recently announced that they will be introducing a new superhero called Wave, who is Filipina. There hasn't been much information about what her backstory or what her superpowers are, but here's what we know so far. She is set to debut in the first issue of War of the Realms, Agents of Atlas. Set to come out in May, this new series features a team of Asian-American superheroes who's job is to protect Asia from Sindr and her Fire Demons, and other monsters from Asgard. All that has been said about WAVE's role in this series is that she will play a key role in defeating the famous Thor villain, Malekith. I'm excited to find out what her powers are and how they are key to saving Asia! Her weapon’s design is based off a traditional Filipino weapon. A diagram of the different parts of a kampilan. 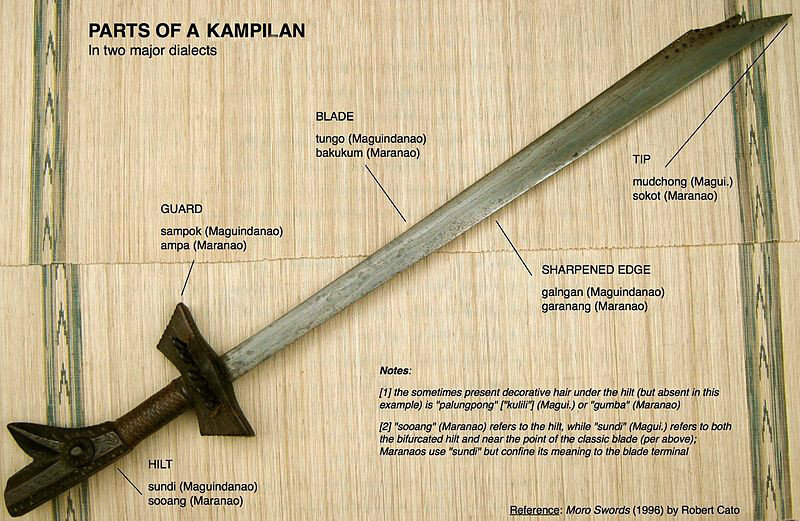 A kampilan is a tapered long sword that was used widely throughout the pre-Spanish Philippines. Along with its long,single-edged blade, the sword features a spike near its tip. It's most famous user is Datu Lapu-Lapu, who defeated Spaniards and killed Ferdinand Magellan in the Battle of Mactan. In the modern day, it is now used in Filipino art and part of ancient religious alters. From the few pictures that have been released, WAVE's sword looks to glow green and have a gold design on the blade. Yu appeared at Comic-Con France in 2010. 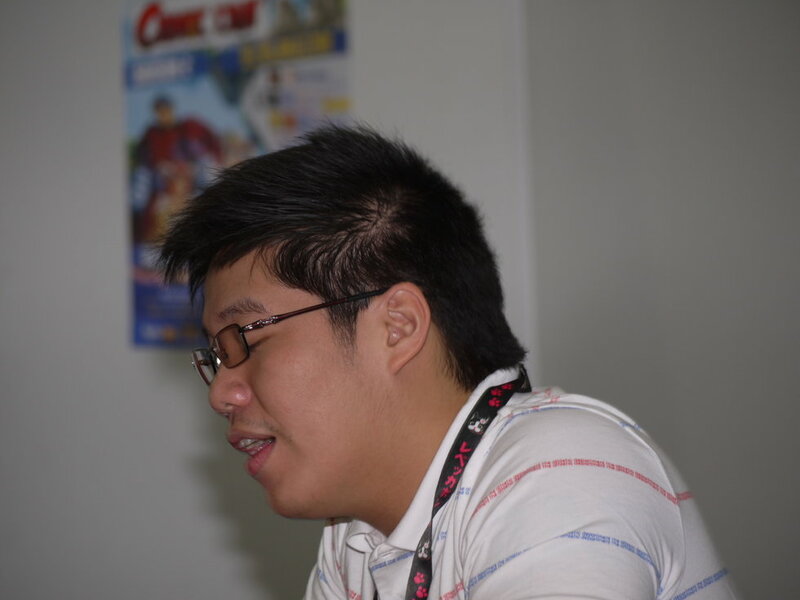 Though he is not part of the actual production of the comic, Leinil Francis Yu was tasked to design WAVE. It is reported that WAVE is from Cebu, which coincidentally is where Yu is from. He is one of the most well-known Filipino comic book artists, known for his work on issues featuring big-name superheroes from both Marvel and DC. Her features are based off a popular Filipina actress. Nadine Lustre (left) is the inspiration behind WAVE's features. Nadine Lustre has become a household name in the Philippines. She is one of the Philippines most talented actresses, appearing in many blockbusters. Fun fact: She is being considered to play Darna, one of the most iconic Filipina superheroes in Filipino pop culture. As a Filipina who grew up around comics, especially Marvel, the announcement of WAVE was something special to me. I personally didn't think about the under-representation of Filipinos in comic books until recently. You would think with the number of Filipino writers and artists in the industry that there would be more prominent characters who are Filipino. I'm sick of being represented in comics as a background/sidekick character, I want to see more Filipinos being put front and center in comics. Hopefully, the introduction of this new hero will create a push towards more main Filipino characters in comics.